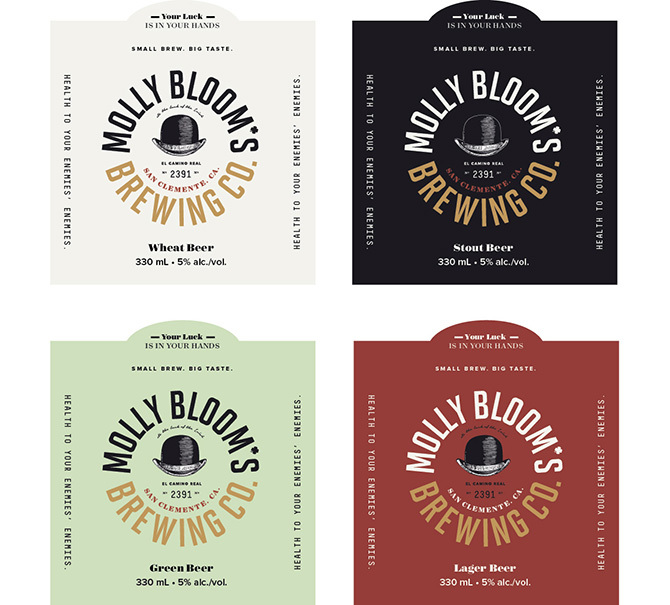 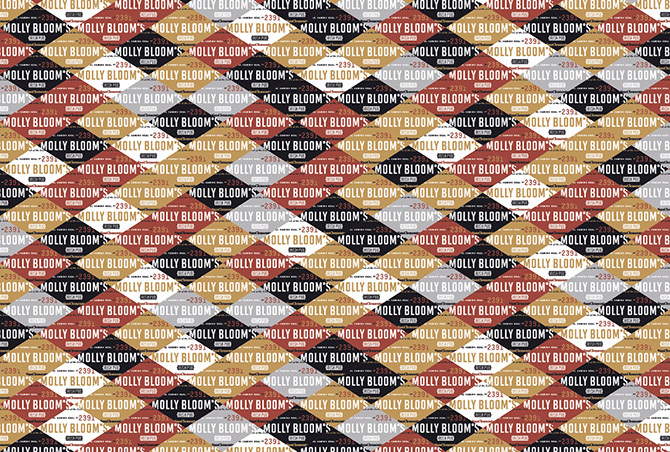 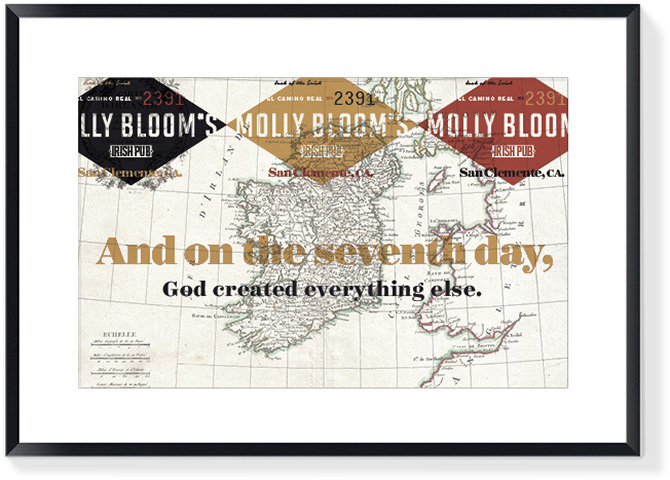 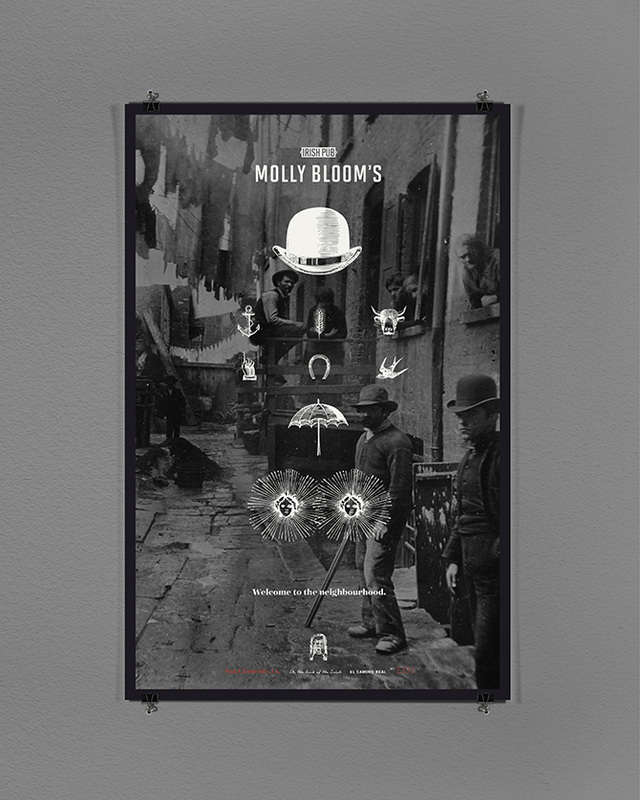 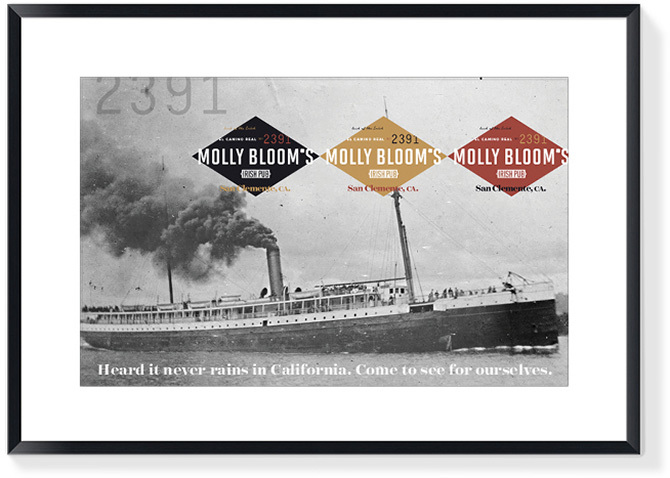 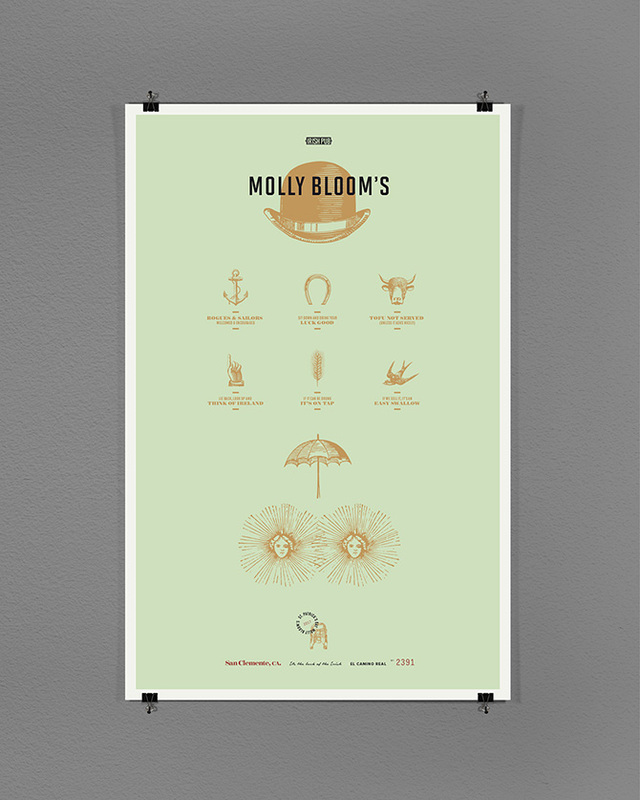 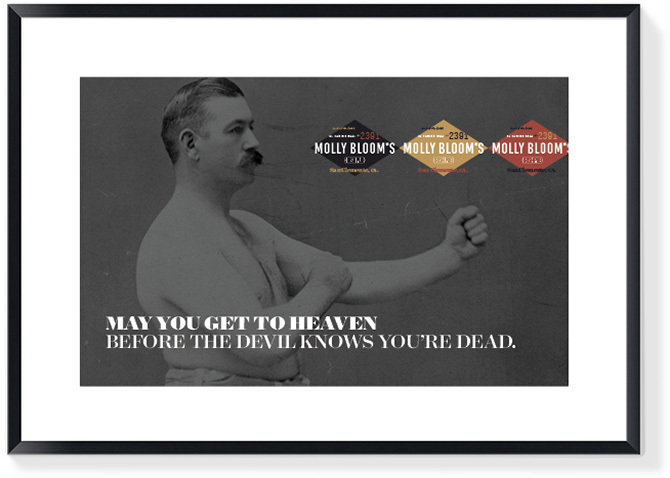 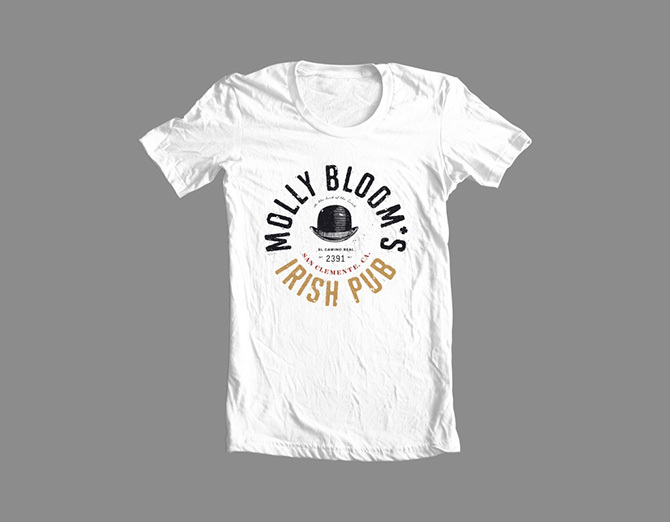 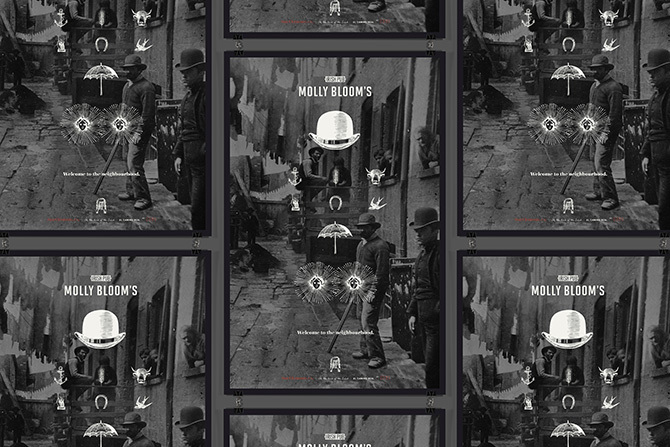 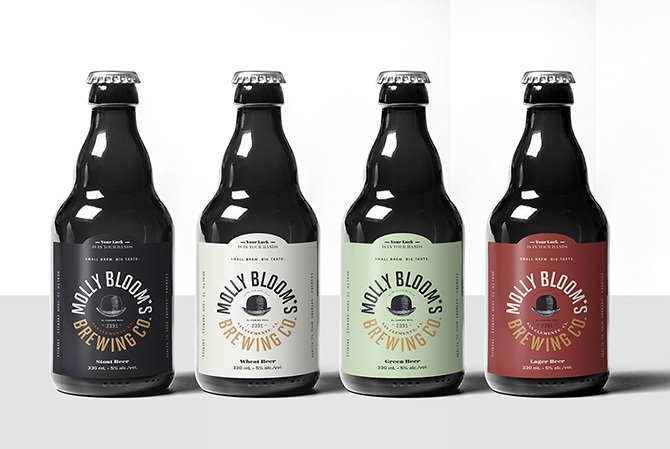 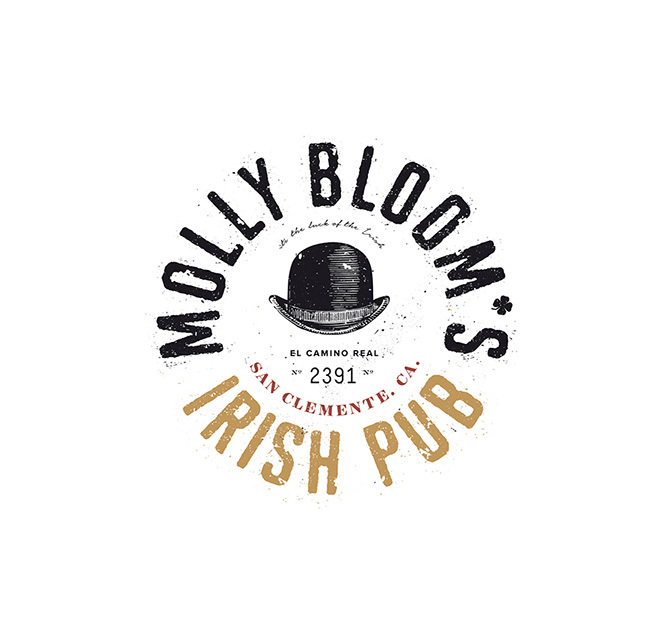 Molly Bloom’s Irish Pub came to me with the task of rebranding their San Clemente pub. 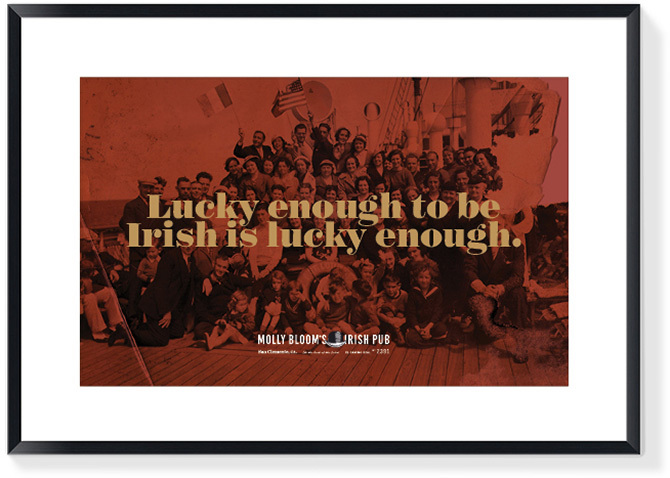 Wanting something unique and unexpected, I put on my Irish hat, settled into a pint of Guinness, and looked to the past for today’s inspiration. 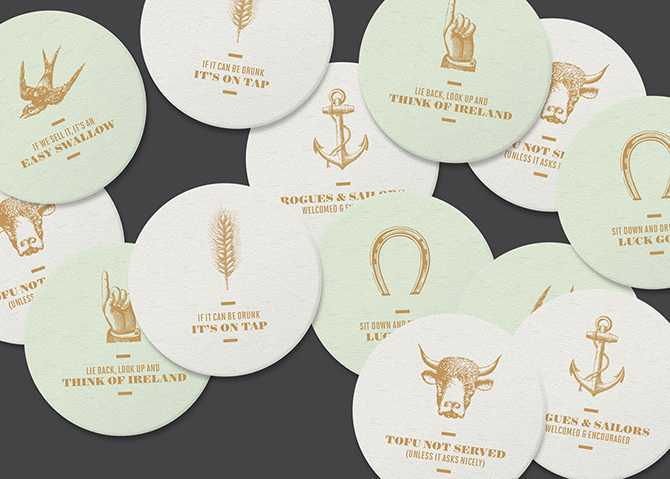 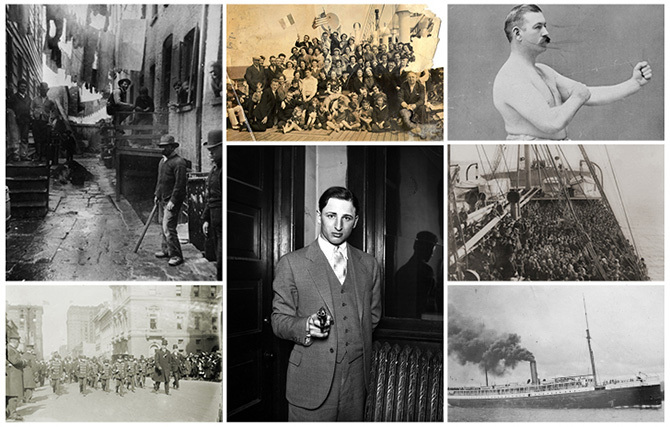 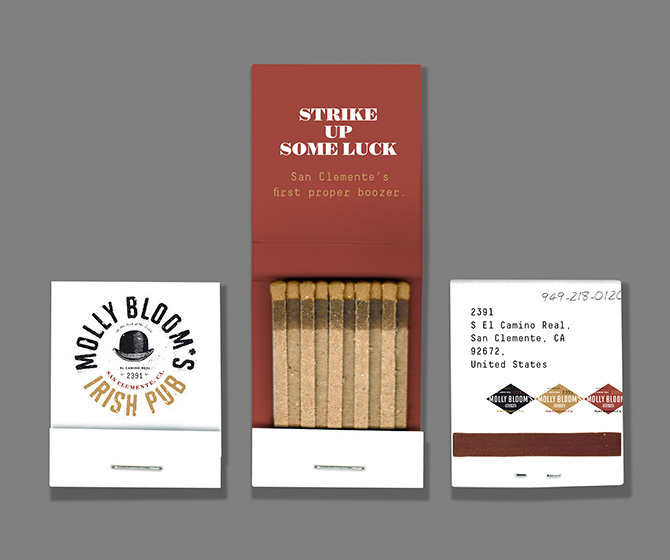 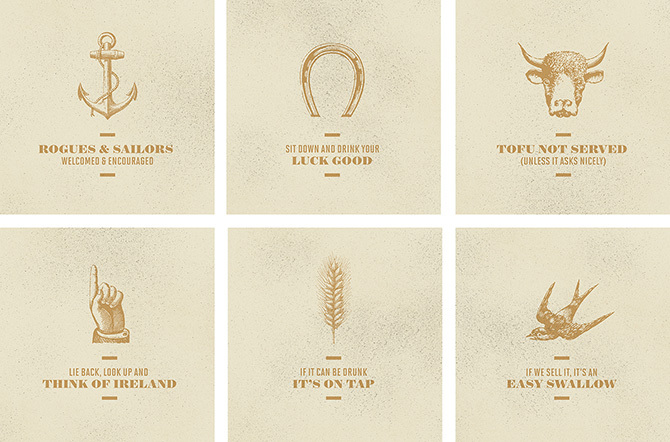 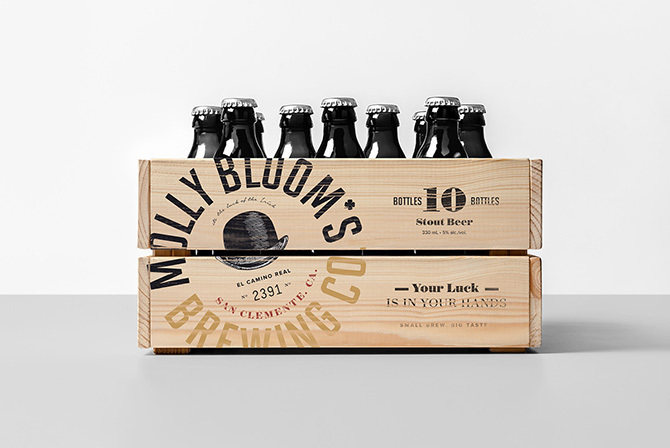 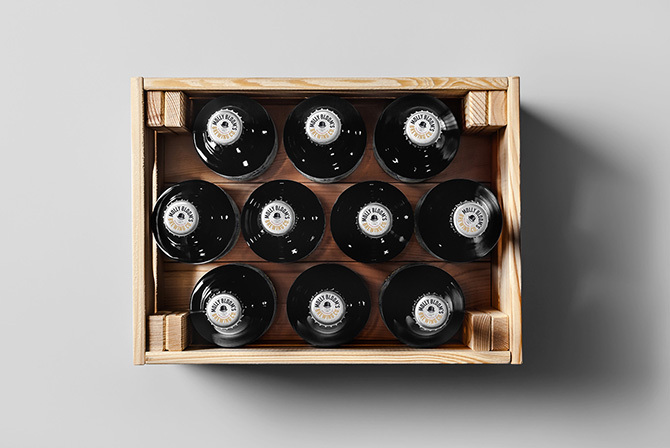 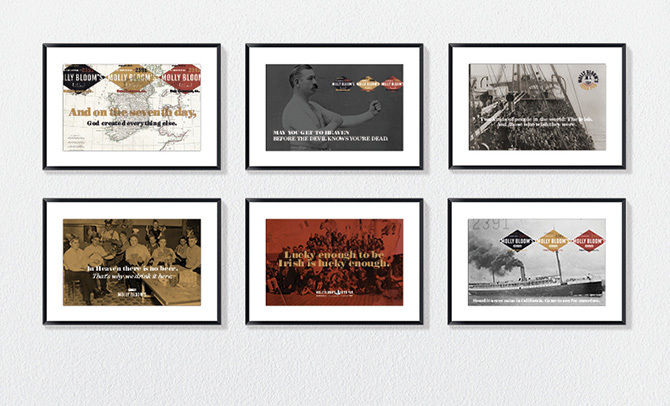 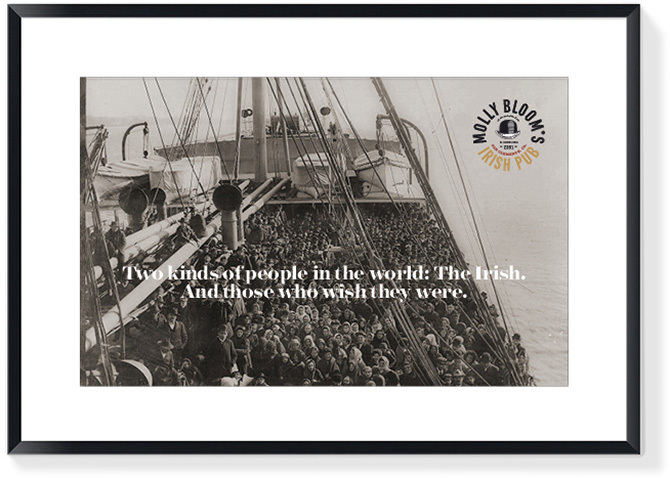 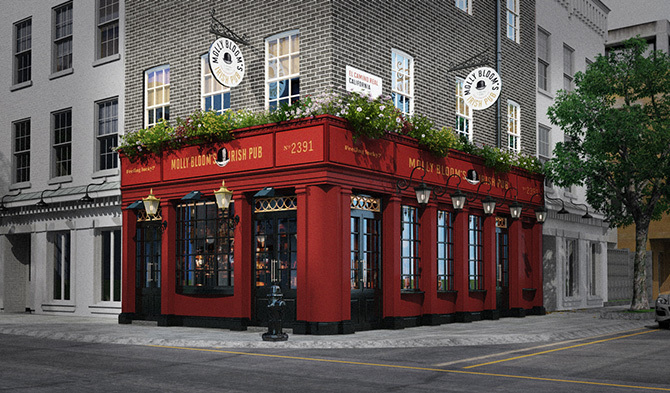 The new design combines a bit of edge with some Irish irreverence and a touch of vintage American east coast. 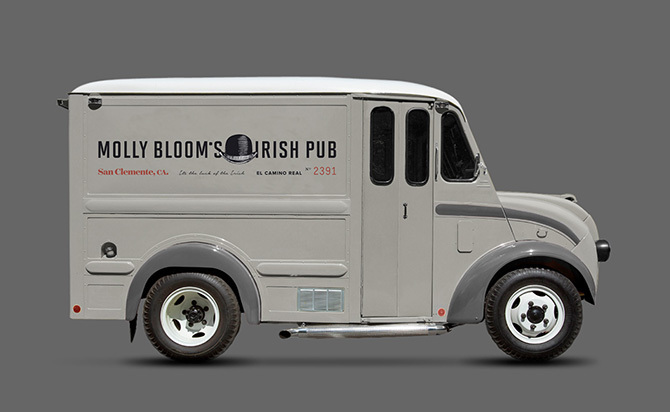 I’ve never been to California, but now I have the perfect excuse to stop in for a pint.